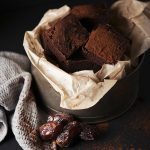 The combination of the double chocolate and the dates satisfy every sweet craving in these decadently moist and fudgy vegan brownies. 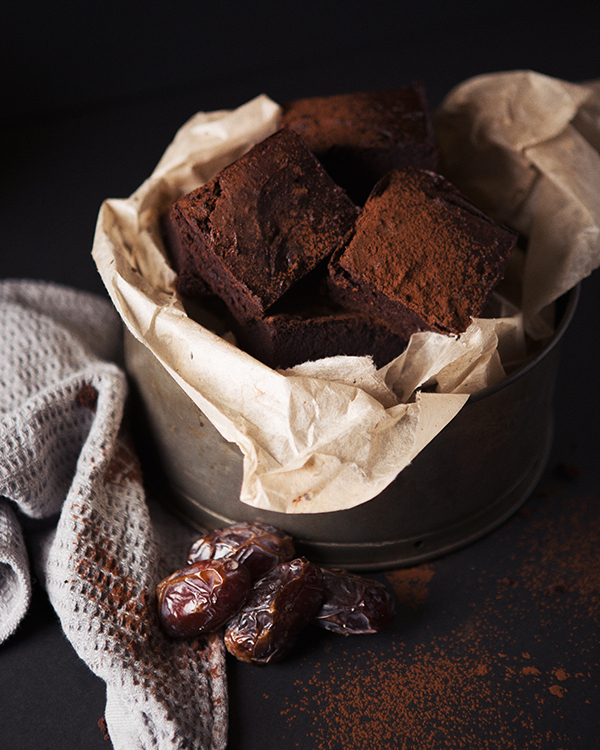 Preheat your oven to 180c/gas4 and line a brownie tin or deep cake tin with baking parchment. Add the cocoa powder, brown rice flour and flax meal. Give them a really good mix until nice and smooth. At this point add all the remaining ingredients, except for the chocolate chips, and mix well until all the bananas are smooth too. Take a spatula and scoop the mixture into a bowl. Fold in the chocolate chips. Pour the mixture into a lined brownie or cake tin. Make sure you get all that gooey mixture out and into the tin! It’s too good to leave any behind! Bake in the oven for 40 minutes or until your knife test runs clear. Enjoy!